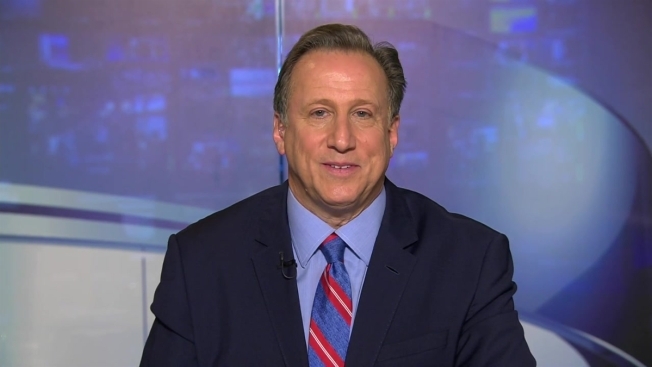 On the Sunday edition of NBC10 Boston Sports Live, Raul Martinez welcomes in Bruce Beck of NBC New York to break down the Red Sox-Yankees ALDS series. "It's a good song. And Aaron, he's one of our resident deejays, so he's got a pretty extensive playlist," New York manager Aaron Boone said later in the day at Yankee Stadium, a smirk filling his face. "We like to hear that song sometimes when we win a big game." "Maybe my wife cooks better food here," he said. "The fans, they're out there on the field with you," Judge said. "Every single pitch they're locked in. It's electric." "Two places that are historic franchises where the fans are definitely rowdy for their home team and against the visiting team," Red Sox reliever Matt Barnes said. "All empires fall sooner or later," then-Red Sox president Larry Lucchino said that night. "This fan base I feel like absolutely connected with kind of this new generation of Yankee player, this young corps that has developed," Boone said . "Me watching from afar last year, especially in the postseason, you could kind of see that raw intensity connection that the fan base had with the players." "Trying to keep the ball in the ballpark - try and get quick outs, try not to let the crowd get too crazy and get behind them and get them going," he said. "That's probably just something they do when they win," the manager said. "It's been a while since Boston played Yankees in the playoffs. So the fans are going to be excited," Betances said. "They were pretty loud for that Oakland game. This is going to be a little crazier for this Boston game, for sure."